All your images are stored on an online gallery: this gallery guaranteed you a perfectly secure backup for all your memories, but also offers a modern and pleasant interface to view, download and share. This gallery is protected by two passwords (one to access, the other for download) allows you to show your entire story (or a selection of your choice) to your guests and leave as freedom to all your guests download all the pictures they want: the sharing of your images requires from you that sending a simple email and your guests, wherever they are, will be guaranteed to enjoy your memories. 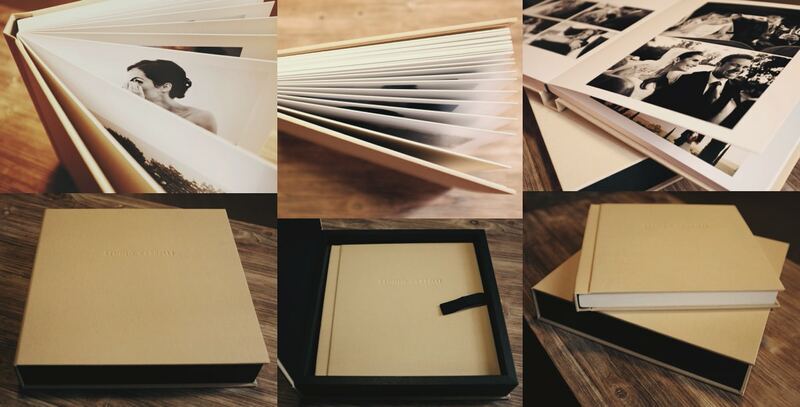 Your memories deserve a high quality setting: we offer an album sober and elegant design, protected in a box and a very high print quality for rendering pictures faithful to the treatment we have taken great care to perform: beautiful contrasts, deep blacks, bright colors. This album contains between 100 and 150 photos chosen by you. From 500 € to 100 images.